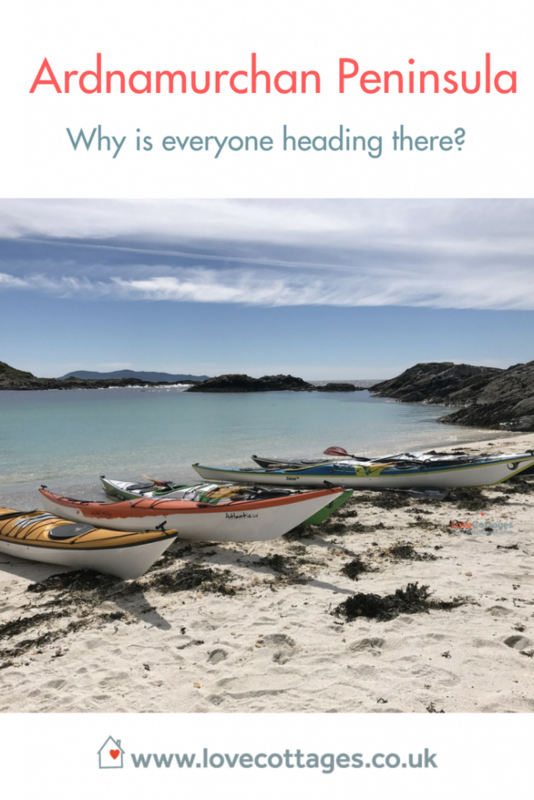 Why is everyone heading for the Ardnamurchan Peninsula? It’s wild. Almost entirely unspoilt. Enviable scenery. A serenity about the place that’s unimaginable. You won’t believe it until you get there. The Ardnamurchan peninsula on the west coast of Scotland is a cluster of villages proud of their crofting roots living a lifestyle uninfringed by the stress and occupational hazards of most urban lives. It’s a natural holiday destination for those looking to get off-grid and back to nature with a sea breeze in their hair. This 50 square mile wilderness is the most westerly point of the Scottish Highlands. At its most extreme westerly point, it is the end of the road of mainland Britain. Venture here from Fort William by road to discover this rugged and isolated part of the country that was once an ancient volcano. The vast crater lingers today, the peninsula’s landmark and playground, home to rare wildlife, fabulous sealife and the occasional beguiled tourist. Getting to and around the villages can’t be rushed: we’re talking single track roads and courteous driving skills. No road rage here. Bored of your commute? There’s no such thing here. The three villages of note, those with the largest of the small communities, and with the holiday accommodation catering for the relative crowds, are Kilchoan, Acharacle and Portuairk. For those merely partaking in a driving tour of the peninsula, Kilchoan is one of the highlights. It’s a detour from the ‘main’ track, if you can call it that, but well worth the mileage. At the foot of Ben Hiant and at the seashore, is this most welcoming villages. Holiday cottages in Kilchoan form part of a community of a 100 or so residents welcoming visitors to enjoy remote hillwalking, the ruined Mingary Castle and utterly blissful coastline. Once only accessible by boat, today you can hope aboard a ferry from here to the colourful harbour at Tobermory on the Isle of Mull. The hamlet of Acharacle is a sporadic series of residences focused around the parish church and war memorial. Holiday cottages in Acharacle draw guests to savour their position on the south west tip of Loch Shiel. The stunning lochside scenery and the glorious walking holidays that await visitors are one of the peninsula’s greatest attractions. If you arrive on the peninsula from the Corran Ferry, the village is along the way on a road originally built by Thomas Telford. There’s history, boating life, dog walks galore and wandering aplenty on offer here. Perched on the southern edge of Sanna Bay is Portuairk. The sandy beach is an unspoilt haven of golden grains and a four mile circular walk up to Ardnamurchan Point lighthouse is worth the detour for the spectacular views and a scrumptious cream tea. One of the last of the crofting communities to settle, the hillsides reveal what’s left of the long houses and life in the mid 1800s. Holiday cottages in Portuairk are rarely short of Instagrammable views, go see for yourself. A remote wilderness in Scotland wouldn’t be complete without a whisky distillery. Ardnamurchan Distillery at Glenbeg is down yet another single track road, about 45 minutes from Kilchoan. Set on the banks of Loch Sunart, it claims to be Scotland’s greenest distillery, using only local renewable resources to power production. Tours and tastings of their peated and unpeated spirits start from £7pp. Mingary Castle isn’t just a 13th century ruin with later additions. One of the most unique experiences is on offer here in the form of a 14-course banquet in the hall of this waterside castle. Nadurra is a fascinating natural history centre with static and interactive exhibitions showcasing the peninsula’s natural environment. Stay long enough for a lunch menu brimming with authentic Scottish dishes. Head off on safari to the most secluded parts of the peninsula in guided jeep tours. Alternatively take a wildlife boat trip across to the Treshnish Isles and into the depths of Mendelssohn’s Fingal’s Cave. Will you be lucky enough to spot the rare wildcats, puffins, penguins and golden eagles that call this part of the country home? We’re a little bit excited and more than a tad envious of our members, Steadings, whose holiday home business is based in Kilchoan Craft and Cafe. 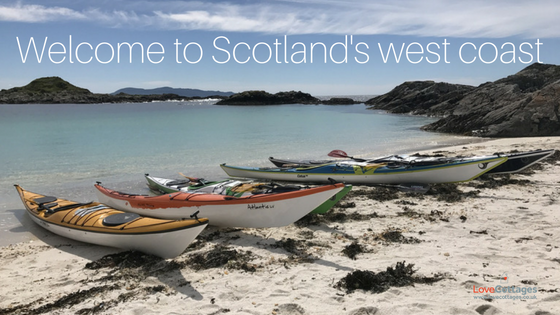 They know these parts better than anyone and are your friendly experts ready and waiting to create your holiday of a lifetime in Scotland.